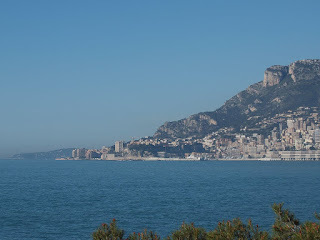 Look across the bay and there is Monaco. I love the contrast - the rocks, the trees, the wildness of the walk compared to the razzmattazz of Monte Carlo. 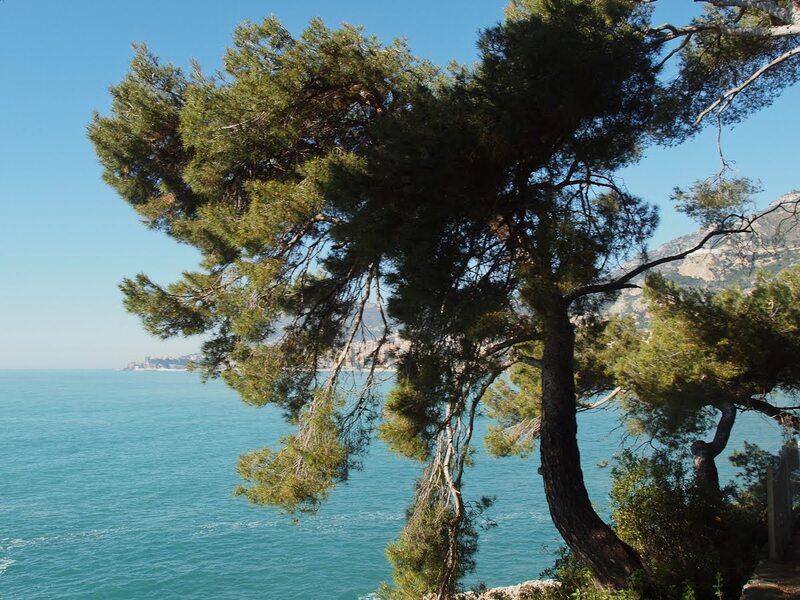 It always astounds me how easy it is to find a natural environment so near to the Principality. 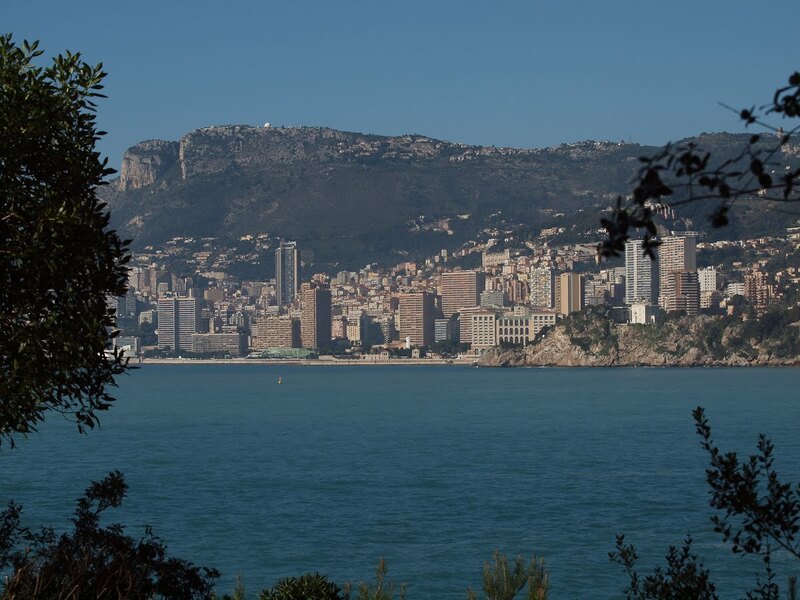 If you go to Monte Carlo Daily Photo today you'll see a view of Cap Martin taken from the 'rocher' of Monaco. 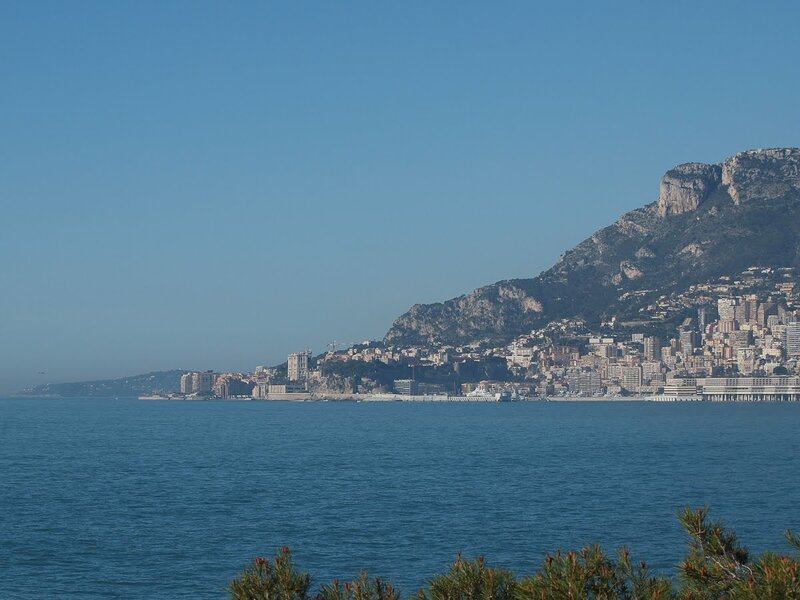 Regardez de l'autre côté de la baie et vous apercevez Monaco. J'aime le contraste : les rochers, les arbres, l'aspect sauvage de la promenade opposés au tralala de Monte Carlo. J'ai toujours été stupéfaite par la facilité de trouver un environnement naturel si près de la Principauté. Si vous allez à Monte Carlo Daily Photo d'aujourd'hui, vous verrez une vue sur le Cap Martin été tirée du «Rocher» de Monaco. it is a treat to find natural areas so close to high density areas. I agree-- so many natural highs so close to that stretch of city life. This reminds me of the Central Coast in California!!! Yes, a real contrast. How's the filling of that swimming pool in MC coming along????? Ready yet? It wasn't filled as of 4 days ago Sally but last year - remember I took the photo? - it had already been filled at the beginning of April. I posted that Quiz (with pic) on the 5th April.